Looking to book The Wallflowers for a corporate event, private party, fundraiser or public event worldwide? BookingEntertainment.com makes it easy and trouble free to check availability and pricing for booking The Wallflowers or any other act in the business with absolutely no obligations. Booking Entertainment is the leading entertainment booking agency specializing in booking The Wallflowers. We will be happy to help you get The Wallflowers's booking fee, or the price and availability for any other band, comedian or celebrity you may want for your corporate event, birthday party, wedding, fundraiser or public show. At Booking Entertainment, we put our 23 years in business behind you to help you get the best price for any entertainer, comedian or celebrity for your event. In addition, our team of seasoned industry professionals can handle every aspect of the entertainment portion of your event to make sure the entertainment runs flawlessly. If you are wondering how to book The Wallflowers for your event, you can trust our The Wallflowers agent to handle it for you. Find out why Fortune 500 companies, high net worth individuals and fundraising organizations come back to Booking Entertainment year after year for their entertainment buying needs. We can literally book any act for you anywhere in the world. The Wallflowers burst onto the international music scene in the mid '90s during the burgeoning roots-rock revival. 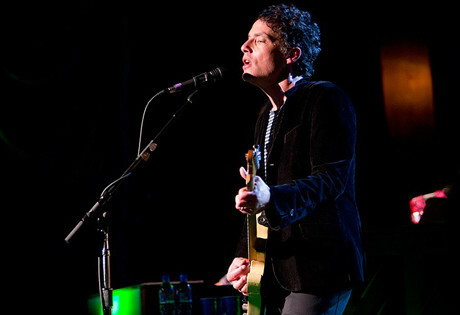 The Wallflowers held a special connection to one of the original inspirations: vocalist/songwriter/guitarist Jakob Dylan, son of musical deity BOB. Though he is the son of a legend, Jakob's similarities to his father are occasional - in fact, the Wallflowers are more influenced by Tom Petty & the Heartbreakers than original '60s folk-rock, though lyrically, Jakob remains a close companion to the original Dylan. The Wallflowers face was born in 1970. Jakob Dylan was raised in Los Angeles by his mother, Sara Lowndes, after his parents' divorce in 1977. He studied at private schools in L.A. and New York, and decided to follow in his father's footsteps by the late '80s. He formed the Wallflowers with guitarist Tobi Miller, keyboard player Rami Jaffee, bassist Barrie Maguire and drummer Peter Yanowitz, and signed to Virgin. Released in August 1992, the Wallflowers' self-titled debut album sold poorly, and Virgin soon dropped their contract. Undaunted, Dylan assembled a new Wallflowers - guitarist Michael Ward, bassist Greg Richling and drummer Mario Calire - keeping only Jaffee. The group signed to Interscope and recorded its second album with producer T-Bone Burnett, a long-time friend of the Dylan family. Bringing Down the Horse was released in May 1996, producing the alternative radio hit "6th Avenue Heartache." Late in 1996, the single "One Headlight" was released, and by the spring of 1997, it had become a Top 10 hit, pushing Bringing Down the Horse into the upper reaches of the charts, as well. Bringing Down the Horse was a big seller throughout 1997, thanks to "6th Avenue Heartache," "One Headlight" and "The Difference," the third single pulled from the record. Early in 1998, "One Headlight" won Grammys for Best Rock Song and Best Rock Performance by a Duo or Group With Vocal. Settling down from the rush of success, The Wallflowers rightfully took a long four-year break from recording. The Wallflowers continued work its four-year hiatus. On their next album, Breach, released October 10, 2000; the first single was "Sleepwalker", followed by "Letters From the Wasteland." The record was featured on MTV's First Listen show. Guests included Elvis Costello, who lent vocals on "Murder 101." The album was certified gold on September 21, 2001. The Wallflowers released their fourth studio album, Red Letter Days, in November 2002. RLD was the first Wallflowers record that featured Jakob Dylan playing a majority of the lead guitar parts. The album had a much more aggressive sound than any of their previous releases. The first single and only music video shot was for "When You're On Top." The single was a smash hit on AAA radio stations, but received little mainstream attention. Subsequent singles from the album include "If You Never Got Sick," "Closer to You," and "How Good It Can Get" which received radio airplay across multiple formats. The band was a part of many exclusive performances during promotion of the record, including a Live at the Rock n' Roll Hall of Fame concert for MTV, and a special televised concert for VH1, Live at Alcatraz, being the first band to ever play a concert on the famous island. The Wallflower's most recent release, Rebel, Sweetheart was released on May 24th, 2005. This is the first Wallflowers record available as a DualDisc. The DVD included interviews and exclusive performances and arrangements of many of the band's songs. Brendan O' Brien (Bruce Springsteen, Pearl Jam, Train) was called in to produce the record and played guitar as well. Fred Eltringham, the newest Wallflowers member, played drums. A video was filmed for their first single "The Beautiful Side of Somewhere" which hit #5 on AAA radio. The second single released was "God Says Nothing Back." In promoting the record, The Wallflowers performed special televised concerts for the Oxygen Custom Concert Series on the Oxygen channel and were also featured on the PBS series Soundstage. In conjunction with the release of Rebel, Sweetheart the band released an exclusive iTunes Originals album for the iTunes music store. The album featured exclusive performances and interviews with Jakob Dylan. The band also volunteered to perform for sailors on the aircraft carrier USS John C. Stennis as the troops were returning to California. The song "Into the Mystic" was featured on the American Wedding soundtrack. The Wallflowers also did a remake of David Bowie's song "Heroes" for the Godzilla soundtrack. The Wallflowers continue to stay active. In 2006 it was announced that Dylan would be appearing with T-Bone Burnett as a guest musician during Burnett's first tour in 20 years. The two share a long history that extends further than just Burnett's impactful production work on Bringing Down the Horse. For more information on booking The Wallflowers, please contact Booking Entertainment. One of our top booking agents will be happy to work on your behalf to get you the best possible price to book any big name entertainer for your upcoming public, private or corporate event worldwide. The agents at Booking Entertainment have helped clients book famous entertainers like The Wallflowers for private parties, corporate events and public shows around the world for over 23 years. Our agents will be happy to assist you with any of your famous entertainment buying needs. All you need to do is fill out an entertainment request form or call our office at (212) 645-0555, and one of our agents will help you get pricing information and available dates for The Wallflowers or any other A-list entertainer for your next event. How to book The Wallflowers for a corporate event? Booking The Wallflowers for corporate events is a great way to thank your employees and clients, and in addition, hiring The Wallflowers for a corporate event is a fantastic way to promote your company's image to your industry. Booking Entertainment can book The Wallflowers for corporate events worldwide, providing you with the fee to book The Wallflowers and their availability on your specific date. We have helped our clients book The Wallflowers and thousands of other acts for almost 25 years. Whether you are looking at hiring The Wallflowers for a corporate event, product launch, trade show, holiday party or an employee appreciation event, your assigned Booking Entertainment agent will be happy to get you the best price for booking The Wallflowers and help make sure that every aspect of the entertainment portion of your corporate event is executed flawlessly. How much does it cost to book The Wallflowers for a corporate event and what do the fees for booking The Wallflowers include? If you are looking to hire The Wallflowers for a corporate event and are looking for The Wallflowers’s booking fee for corporate events, Booking Entertainment will be happy to get you pricing to book The Wallflowers for your date for free. The cost of hiring The Wallflowers for your corporate event can include just the price of booking The Wallflowers for a corporate event, or we can give you an estimate for booking The Wallflowers that includes absolutely everything that goes into hiring The Wallflowers including all fees, flights, hotel, ground, production, green room requirements and our veteran production team onsite to make sure everything runs smoothly from load in to load out. How Much Does It Cost To Hire The Wallflowers? Looking for The Wallflowers booking cost, fee or pricing? When you are booking an act like The Wallflowers, many factors determine the final price, including the artist's touring schedule and other shows they may have in your area. Fill out an entertainment request form or call our offices at (212) 645-0555 and one of our booking agents will get you a pricing fee and availability for your date and assist you in booking The Wallflowers or a different well-known act for your next event. How Do I Hire The Wallflowers For A Private Party? Wondering how much does it cost to book The Wallflowers for a private concert or will The Wallflowers play a private party? Whether you are looking to book The Wallflowers for a wedding, private party or anniversary party, our The Wallflowers booking agent who specializes in booking The Wallflowers will be happy to help you to book The Wallflowers and take care of everything necessary to make sure the show is executed flawlessly. Fill out an entertainment request form or call our office at (212) 645-0555 and one of our The Wallflowers booking agents will assist you in hiring The Wallflowers for a private event anywhere in the world. How do I hire The Wallflowers for a college concert from booking agencies that book concerts for colleges and universities? Booking talent for college and university events is something Booking Entertainment has been helping college talent buyers do for almost 25 years. Whether you are looking to book The Wallflowers for a sorority party / fraternity party or a college concert event sponsored by the college entertainment committee, college talent buying is something we specialize in at Booking Entertainment. Simply fill out our form, email us or call the office and one of our college booking agents will be happy to help you make sure that every aspect of booking The Wallflowers or anyone else for you college event is taken care of to ensure your college or university concert runs smoothly and cost effectively. How much does is it cost to book The Wallflowers for a college or university concert and are fees for booking college concerts less expensive? When college entertainment buyers book famous entertainers such as The Wallflowers to play for college concerts, sorority parties or fraternity parties at colleges and universities, we know the acts tend to charge a lower fee than they would cost for a traditional public or private concert. Of course, how expensive it is to book college entertainment depending on how big of an act they are, but colleges and universities tend to get a better fee for booking big name entertainment for college and university events. One of our college entertainment booking agents will work closely with you to make sure you get the best possible price for your college’s concert. Buyers who don't have a lot of experience booking famous acts often find the process frustrating when they try to do it on their own. Our The Wallflowers agent that specializes in booking The Wallflowers can use our reputation and relationships to help you navigate the entertainment buying process and get your offer for booking The Wallflowers seriously considered. The artist’s managers want to know that everything will be handled properly, and Booking Entertainment’s stellar 23-year reputation and our attention to detail provide them with the peace of mind that the show will be flawlessly executed from beginning to end. How Do I Book The Wallflowers For A Fundraiser or Gala? Wondering how much does it cost to book The Wallflowers for a fundraiser or will The Wallflowers play a gala? Your assigned The Wallflowers agent will be happy to help you to book The Wallflowers and we can even take care of everything necessary to make sure booking The Wallflowers is easy and trouble free. Fill out our entertainment request form or call our office at (212) 645-0555 and one of our booking agents for The Wallflowers will assist you to book The Wallflowers or any other entertainer or celebrity for your next fundraiser or gala anywhere around the world. How Do I Book The Wallflowers To Perform At My Wedding? You might ask yourself, “How do I hire The Wallflowers for a wedding?" We have helped hundreds of clients book acts like The Wallflowers for weddings and wedding ceremonies worldwide. Your assigned Booking Entertainment agent will not only be happy to assist you in hiring The Wallflowers to perform at your wedding, we will be onsite to make sure booking The Wallflowers for your wedding is executed flawlessly. Can I book The Wallflowers for a wedding and how much does it cost to book The Wallflowers to sing at a wedding? If you are serious about booking The Wallflowers for a wedding, Booking Entertainment will gladly get you the The Wallflowers booking fee and availability for booking The Wallflowers for your wedding date. The price for booking The Wallflowers will include all of the fees and additional expenses necessary to hire The Wallflowers for a wedding including all production costs, flights, hotels, ground and green room requirements. If I hire The Wallflowers to perform at my wedding, how do I integrate booking The Wallflowers into my wedding? Hiring celebrity entertainment for a wedding is a great way to surprise the guests or even the bride or groom. When we book big name acts like The Wallflowers for weddings, we work closely with the wedding planner beforehand to make sure everything involved with the entertainment integrates seamlessly with the flow of the wedding . Our staff of veteran producers will then be onsite at the wedding to make sure when you book The Wallflowers for your wedding, everything runs smoothy from load in to load out. How do I contact The Wallflowers’s agent or The Wallflowers’s manager? Even if you have The Wallflowers contact information, The Wallflowers’s management contact info like The Wallflowers’s manger's email or even The Wallflowers’s manager's phone number, you still need a company like Booking Entertainment to help coordinate everything that is necessary to book The Wallflowers to perform for your event. Agents and managers contact us all the time to help people that find the agency contact info or management contact info and contact the agents and mangers directly. Managers and agents trust our agency to handle everything to the industry standard as we have for almost 25 years. How Do I Book A VIP Experience With The Wallflowers At A Event Or Concert? With Booking Entertainment, booking premium seats and backstage meet & greets with The Wallflowers is easy and accessible to anyone around the world. Fill out an form or call our office at (212) 645-0555 and one of our agents will assist you to get pricing and availability to have The Wallflowers VIP experience at a concert or event. Booking Entertainment works to get the best possible The Wallflowers booking fee and The Wallflowers price for our clients while also providing the celebrity or famous entertainer with the level of professionalism and industry norms that they expect from an event run by a professional booking agency and production management. Booking Entertainment uses our agency / management relationships and over 23 years of production experience to help buyers of headline / top name entertainers and does not claim or represent itself as the exclusive The Wallflowers agent, manager or management company for any of the artists on our site. Booking Entertainment does not claim or represent itself as the exclusive booking agency, business manager, publicist, speakers bureau or management for The Wallflowers or any artists or celebrities on this website.